Hungry? This emoticon is—that’s for sure! 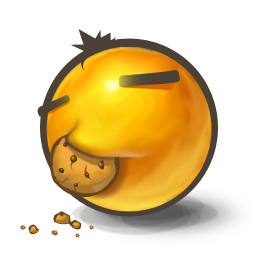 We have cookie-eating emoticons and other choices for any occasion! Tell your friends on Facebook you’re taking a snack break or send this cute emoticon in a private chat message. Check out all our amazing emoticons and smileys!